Admittedly there are plenty of topics we could discuss with Jaguar Special Vehicle Operations boss John Edwards. The opulent Range Rover SVAutobiography and the fiery Jaguar F-TYPE SVR represent two-thirds of the SVO ‘triangle’, with speculation mounting – but no official words forthcoming – concerning the first bespoke SVX off-road model. There’s also SVO’s brand new technical headquarters in the UK, into which Jaguar Land Rover has already invested $2.5 million. And that’s before we even dive into the lightweight E-Type and ‘lost’ XKSS limited edition projects, halo models of SVO’s new classic car business that sold out within weeks of their announcement. I can’t help myself though. Project 7 was never originally destined for a production run, until the concept’s dynamic debut at the 2013 Goodwood Festival of Speed. Those 120 seconds effectively put Special Vehicle Operations on the map. Safe to say that the risk paid off, and while it would be another two years before all 250 models were built to completion, the ripple effect from Project 7 was enormous. Suddenly the pressure was both relaxed and tightened simultaneously (“we have our CEO saying, ‘you have to do more and faster, and really sweat that asset’ ”). Much like the ‘lifestyle’ Evoque, expectations for the more dynamic Range Rover Sport SVR – SVO’s first bespoke production model – underestimated the products potential: 3000 sales last year were triple what was expected. 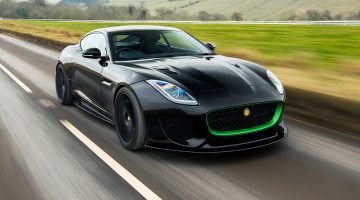 More significantly though, the envelope was pushed on the F-TYPE R, a model SVO engineers genuinely believed was the sportiest they could create. Suspension tweaking, drivetrain remapping and revised aerodynamics saw the F-TYPE SVR nose its way over the hallowed 200mph (320kph) benchmark, aligning it with performance bigwigs Porsche, Aston Martin and even McLaren. Not that it came easily of course. There’s another three-lettered elephant in the room neither of us has mentioned yet. Demonstrating and promoting the performance capabilities of Jaguar’s halo sports car is one thing, but if SVO is to become a standalone sub-division in its own right, the AMG benchmark is stratospheric. 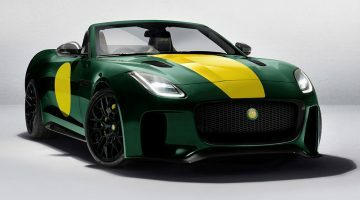 Bear in mind though that the SVR weapons represent just one third of SVO’s business plan, and while the AMG GT R-rivalling F-TYPE SVR is busy extolling the performance capabilities of Jaguar, products like the SVAutobiography are busy raising Range Rover’s new ‘luxury’ perception to headier heights. Given that two such widely differing business models require significant investment and unwavering creative direction, how can SVO – only two and a half years after going public, don’t forget – ever expect to do both services justice? “Juggling the business is fine. The temptation at the beginning was just to do performance, but AMG and BMW M have pretty much defined that. Plus, we have the opportunity to do more. Five or six years ago we discussed whether or not to push Range Rover upmarket, and at the time, we weren’t 100 per cent sure whether we could. But the influx of luxury competitors has really helped bring the market to us, and I’m often asked whether I see this as a threat. I don’t. I see this as a great opportunity, because I’m confident Range Rover can live within that company. Looking forward is all well and good (okay, necessary) but to do so in an industry where technology and consumer expectations advances so quickly must make this difficult: consider for instance adaptive cruise control, lane keep assist and air bags, all massive innovations when first introduced by Mercedes, and now so run of the mill, they come as standard on a Toyota Land Cruiser. Much like Project 7 though, John accepts that rolling with the punches is the best way to move forward. I’ve saved arguably the most difficult question for last. In the space of 30 months, SVO has launched three new production models that represent two of an eventual three arms of its business ‘triangle’. 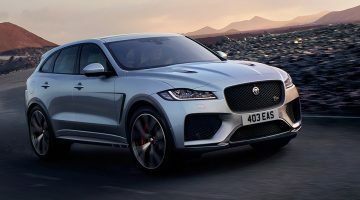 It’s created a headline-grabbing concept, and latterly a production version that John freely admits SVO could – nay should – have sold more of, as well as revised Jaguar’s flagship sports car accordingly. There’s a new technical centre, more limited edition classic car projects on the way, and a high-profile German rival squarely in the company’s crosshairs. Ultimately, has SVO achieved what boss John Edwards expected it would in this time? Enjoy this SVO Special Vehicle Operations interview? Previous ArticleOPINION. Was Uber the wrong call for Lexus?